This High Protein Egg Salad is made with cottage cheese so it is creamy, delicious and good for you! With cottage cheese, pickles, mustard, dill and hardboiled eggs, you have one healthy recipe that is sure to be a favorite. Substituting cottage cheese for mayonnaise makes this recipe lower in fat and calories and higher in protein and other nutrients. I have always loved egg salad sandwiches, so I keep hard boiled eggs in my fridge at all times so I can whip some up or eat them for a snack. My husband and I have been trying to eat a little healthier and get more protein in our diets, so this High Protein Egg Salad with Cottage Cheese is a staple at our house. Does Egg Salad Have a lot of Protein? Traditional egg salad has a few grams of protein per serving because of the hard boiled eggs, but can be high in fat and calories because of mayonnaise or other additives. By substituting the mayonnaise in egg salad for cottage cheese, you get a nice creamy consistency and add over 9 grams of protein per serving! 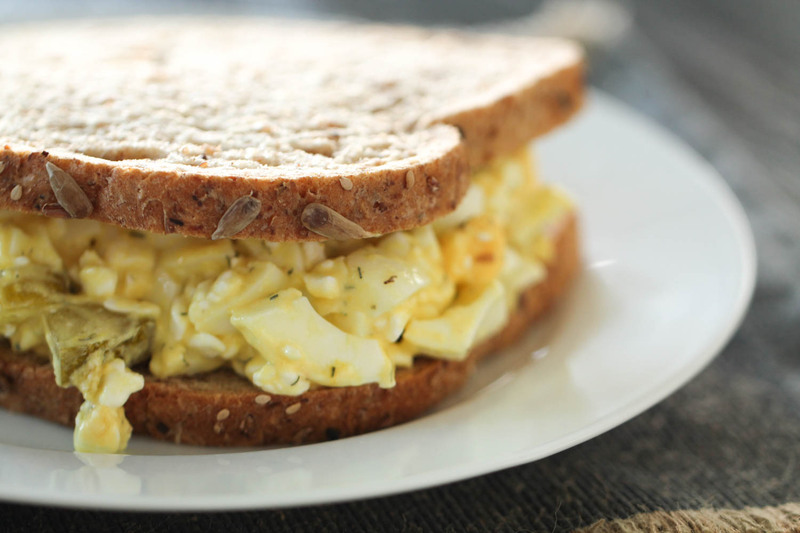 Another way to add extra protein to an egg salad sandwich is by serving it on a bread that is high in protein. 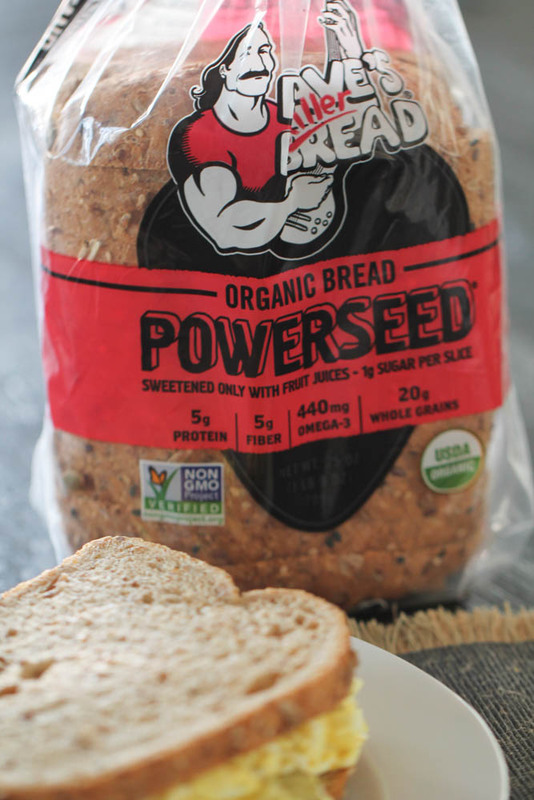 I LOVE using Dave’s Killer Powerseed® Bread because it is sweetened with organic fruit juices, has only 1 gram of sugar per slice, is packed with whole grains, and has 5 grams of protein per slice! I buy Dave’s Killer Powerseed® Bread at Costco, but you can use their locator to find where it is sold nearest to you. 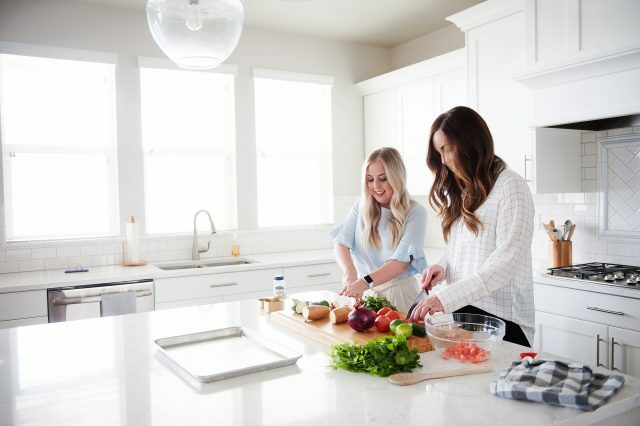 If you can’t find somewhere to buy it close by, you can always use a whole wheat bread you like, or use sandwich thins, which often have a few grams of protein per serving. This recipe is so simple to make, especially if you already have hard boiled eggs ready to go. 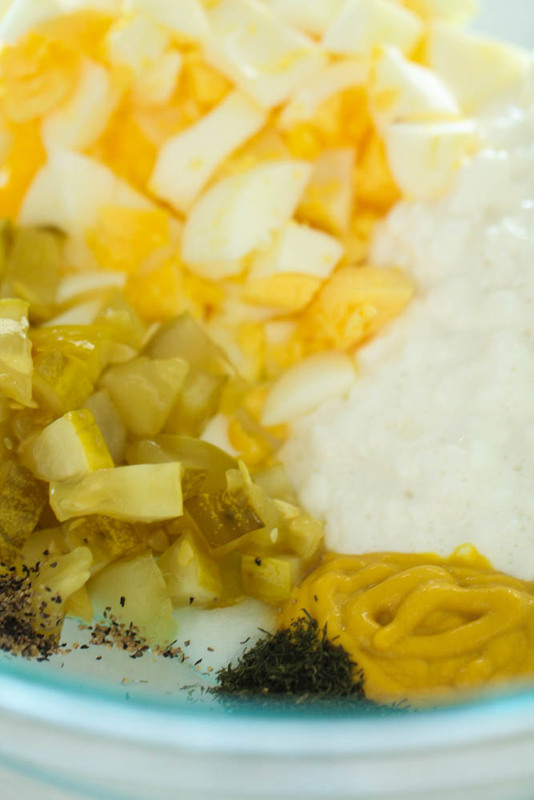 In a mixing bowl, combine hard boiled eggs, cottage cheese, mustard, diced pickles, dried dill lemon juice, salt and pepper. Gently fold until well combined and serve on bread. So simple! I like making a batch of this every week to eat for lunch. Each serving (including 2 slices of Dave’s Killer Powerseed® Bread) has 421 calories, 46 grams of carbs, 14 grams of fat and 30 grams of protein! This made a really big sandwich, so you could easily make it serve more than two people, but I tend to get pretty hungry during the day. Creamy, delicious egg salad that is packed with protein! 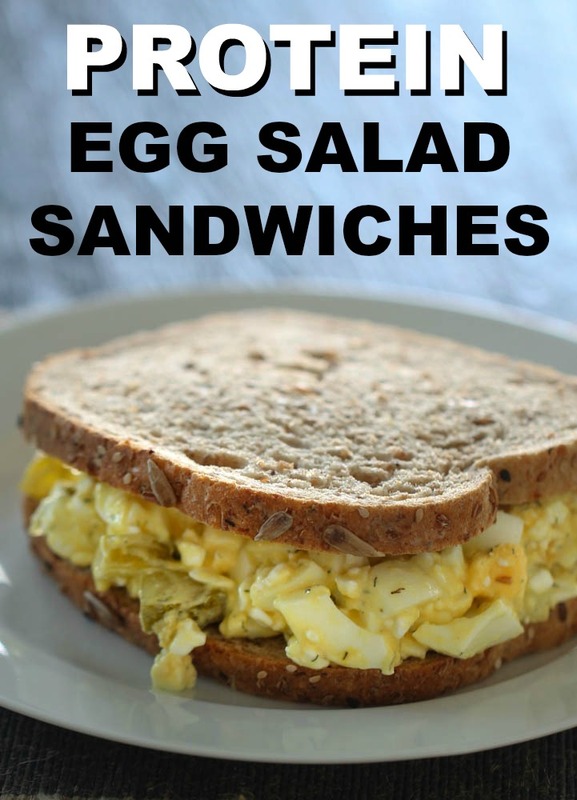 Divide egg salad in half and serve between two slices of Dave's Killer Powerseed® Bread. We love a good sandwich, and this Easy Chicken Salad Sandwich is one of our absolute favorites! Watch the video below to see how to make this easy, delicious recipe. Excellent and simple to make but very nutritious. Just what am looking for.